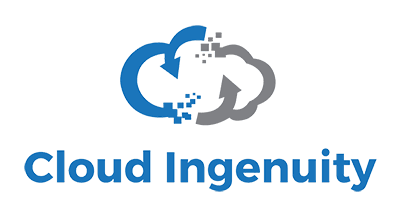 Cloud Ingenuity simply is ingenuity in the cloud. We are converged hybrid-cloud integration services company with a services oriented culture. We focus on a comprehensive set of IT catalog and framework based services. Cloud Ingenuity helps drive innovation in customer IT organizations which are focused ultimately to gain IT capabilities that transform digital modernization initiatives while enabling opportunities to run “Legacy IT" in the cloud. We help IT organizations understand how to operate in the cloud communities whether it is private, hybrid or public. We partner to drive outcomes and translate into business advantage….bottomline. The benefit is the automation technology drives simplicity in IT operation. However, the technology drives significant complexity. We act as a beacon in pursuit of success, through the maze of technology, automation, blueprints, frameworks, and apply ingenuity to reshape the landscape of legacy IT. Cloud Ingenuity truly is a driving force in enabling the efficiencies of integrated cloud architectures with your IT systems while driving adoption and consumption of various service based IT catalogs across the entire enterprise. Our consulting and integration services will help shape the journey to the cloud for many customers and make the benefits of the cloud available today not tomorrow. Sky is the limit we can help you see through the clouds!